In light of being able to republish No Safe Place soon, I figured it was a good time to show off the new cover before it's up on Amazon. Thanks again to the wonderful Agata at Bukovero. I went to her with no clear idea of what I even wanted, and she came up with this beautiful cover that's just perfect for the book. I'll definitely be using her again, and I highly recommend her. 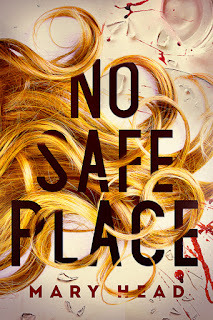 Anyway, without further ado, here's the shiny new cover for No Safe Place! I've already changed the paper back cover on Amazon, and the Kindle Version will hopefully be up soon as well. I'll definitely post a link as soon as it's available!